You don't have to be a social media expert to help promote our concerts, simply forwarding our newsletters with a personal message to your friends and family is one of the best ways you can help us promote the Richmond Orchestra & Chorus concerts. Rising Stars 2016 generated the most traffic to our website to date - and it was all done through social media. As a result, the orchestra benefited from the highest audience turn out it has ever had and the highest profit ever made on a single concert in the last five years and possibly more. The best part was that ROCA did not spend a dime in marketing this event, other than the $35.00 for posters. 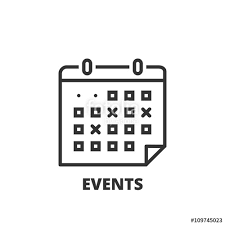 Click on the PDF files below and learn how to share events on your timeline and invite your friends to our event pages. - If you like a post, then "like" it. - If you want to share an event or article, then "share" it on your timeline. - If you like being a member of the orchestra or chorus, why not write a review?